The City Law School welcomed the Attorney General for a special guest lecture. 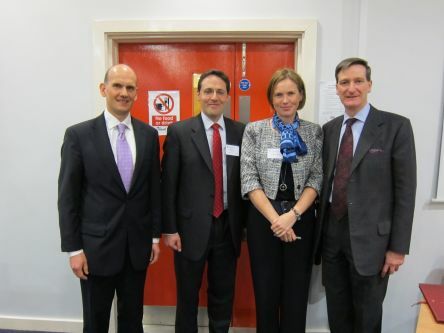 The City Law School was proud to welcome the Attorney General to deliver a special guest lecture at the University. On the evening, The Rt Hon Dominic Grieve QC MP discussed the role of UK law as a model for combating human trafficking and slavery. He was also joined by James Ewins, barrister and International Justice Mission (IJM) advocate who highlighted the casework of IJM officers from around the world. You can now listen to this lecture online.